There is always something happening in Red Lodge, always. Weekly jam for musicians to take the stage and perform for the bar patrons. Every Tuesday we will offer several selections of sushi including but not limited to: Nori, Ebi, Unagi, Spicy Tuna and Tobiko and Cali rolls. Parents sip lattes and chat while the kiddos dig the play area! Every Tuesday we would like to offer non-profits a venue to celebrate their cause and earn money for their organization or event. You do the promotion, we provide the space. This is a unique opportunity to sell your own promotional goods and spread the good word. The best part is you will receive a portion for each pint sold on your community pint night. Add to Calendar 2/24/2019 6/15/2019 America/Denver Community Pint Night at Red Lodge Ales Every Tuesday we would like to offer non-profits a venue to celebrate their cause and earn money for their organization or event. You do the promotion, we provide the space. This is a unique opportunity to sell your own promotional goods and spread the good word. The best part is you will receive a portion for each pint sold on your community pint night. Time: Doors at 6pm. Show starts at 7pm. Monday nights are closed caption night. Add to Calendar 4/19/2019 4/25/2019 America/Denver Five Feet Apart playing at the Roman (PG-13) Seventeen-year-old Stella spends most of her time in the hospital as a cystic fibrosis patient. Her life is full of routines, boundaries and self-control — all of which get put to the test when she meets Will, an impossibly charming teen who has the same illness. There’s an instant flirtation, though restrictions dictate that they must maintain a safe distance between them. As their connection intensifies, so does the temptation to throw the rules out the window and embrace that attraction. Carbon County Connect Lunch and Learn! Carbon County Connect is a vital community resource which connects people to services! Come have lunch on us and learn more about CCN. If you are a service provider please join us to update your information! Come Join Us For Bingo Tonight From 7-9. Can't Win If Your Not There! Children and their caregivers are invited to expand their imaginations through books, songs, movement, and crafts. Library programs are free and open to the public. No registration required. Add to Calendar 11/21/2018 4/25/2019 America/Denver Winter Storytime at the Red Lodge Carnegie Library Children and their caregivers are invited to expand their imaginations through books, songs, movement, and crafts. Please join Rosalind Rose, MS, LCPC, LAC, LMFT and Rebekah Easter, Mindfulness Coach as they present on how behavioral therapies and mindfulness practices can benefit children with ADHD. Locals Night is back!!! Come listen to our very own Charlie Brandine & Lee Moran in the bar starting @ 5:30 pm! Awesome drink and appetizer specials in the bar and our Top Chef 3 Course Dinner in the dining room for $29.95! Add to Calendar 2/2/2019 2/2/2020 America/Denver Rock Creek Resort - Locals Night at Old Piney Dell Locals Night is back!!! Come listen to our very own Charlie Brandine & Lee Moran in the bar starting @ 5:30 pm! $3 pints and our special Apple wood smoked dry rubbed chicken wings for $10. Its Friday! Which means we have Prime Rib. Come see us and enjoy a great evening! The Carbon County Republican's annual Lincoln/Reagan Dinner will be held Sat. April 27th at the Joliet Community Center. No host cocktails at 6:00 pm followed by dinner at 7:00. There will be a silent auction, live auction and there'll be a PIE AUCTION! Tickets available at the door or call the number below. Add to Calendar 4/27/2019 4/27/2019 America/Denver The Carbon County Republican's annual Lincoln/Reagan Dinner The Carbon County Republican's annual Lincoln/Reagan Dinner will be held Sat. April 27th at the Joliet Community Center. 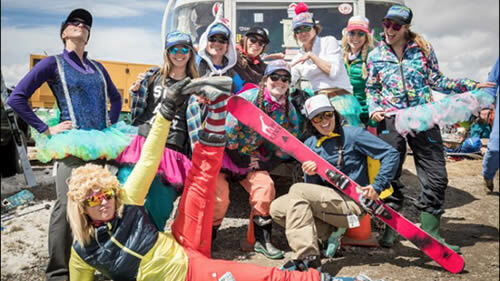 Add to Calendar 4/27/2019 4/27/2019 America/Denver 24th Annual Beartooth Ball Red Lodge’s most “formal” affair--although locals describe the attire as “Red Lodge Formal”, where black tie is optional, but so are blue jeans! Bring your instruments and join in on the fun. MONDAY NIGHT IS INDUSTRY NIGHT! We feel your love industry peeps! Bring in a pay stub, or proof of you working in the hospitality business, and you get 20% off your check on Mondays! You deserve it!. 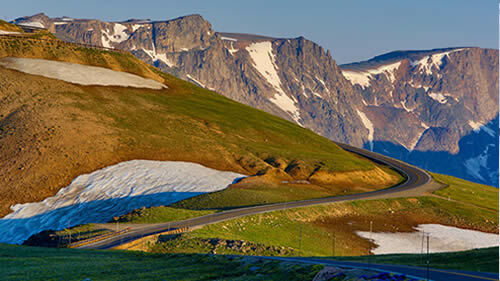 Add to Calendar 5/24/2019 5/27/2019 America/Denver Projected Opening of the Beartooth Highway The "Most Beautiful Drive in America" projected opening is May 24, 2019. The first weekend is always a spectacular time to travel, recreate and sightsee on this incredible road. Come and spend the Memorial Day Weekend with us! Open for teams, events and to the general public 9-3, daily. The 56th annual Red Lodge Music Festival features 5 faculty concerts during the week and student concerts on the weekend. 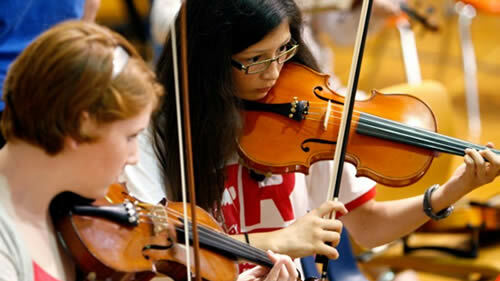 Student concerts free and open. Add to Calendar 6/17/2019 6/21/2019 America/Denver 2019 Summer Shredfest With some of the continent’s steepest in-bounds terrain and virtually no infrastructure, Beartooth Basin is the only summer-specific ski area in North America. There’s no warming hut or anything resembling a lodge. Two porta-potties that sway in the mountain wind serve as restrooms. A generator supplies electricity for the two minimalist lifts, which pull skiers and snowboarders up the glacier-carved Twin Lakes Headwall. In June of 2017, Beartooth Basin and the Mountain Rider’s Alliance will host the 3rd annual Summer Shredfest. Skiers participate in a freeride competition to see who could ski the most daring line down the mountain. With some of the continent’s steepest in-bounds terrain and virtually no infrastructure, Beartooth Basin is the only summer-specific ski area in North America. There’s no warming hut or anything resembling a lodge. Two porta-potties that sway in the mountain wind serve as restrooms. A generator supplies electricity for the two minimalist lifts, which pull skiers and snowboarders up the glacier-carved Twin Lakes Headwall. The Red Lodge Songwriter Festival brings hit Nashville Songwriters and the best songwriters from Montana to perform and network with each other in the mountain community of Red Lodge. 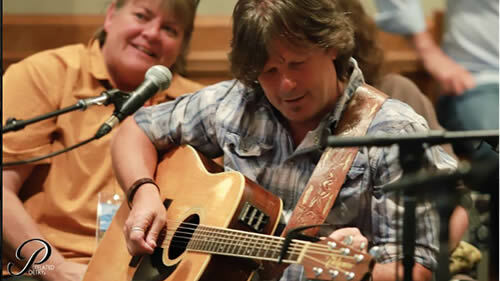 Add to Calendar 6/20/2019 6/22/2019 America/Denver Red Lodge Songwriter Festival The Red Lodge Songwriter Festival brings hit Nashville Songwriters and the best songwriters from Montana to perform and network with each other in the mountain community of Red Lodge. For three days the streets, bars, cafes and parks of Red Lodge become a gathering place for songwriters from Montana, Nashville and around the country. This is the place that displays songwriting at its highest level in the amazing setting of Red Lodge, Montana. Park benches, bar stools, hotel lobbies and parks become picking sessions. 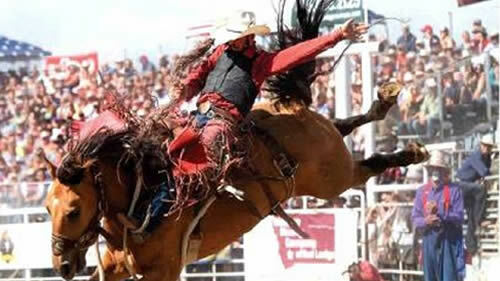 Join us for the 90th Home of Champions Rodeo featuring some of professional rodeo's top cowboys and cowgirls. 90 Years of Ropin' and Ridin'. Add to Calendar 7/2/2019 7/4/2019 America/Denver Home of Champions Rodeo Join us for the 90th Home of Champions Rodeo featuring some of professional rodeo's top cowboys and cowgirls. 90 Years of Ropin' and Ridin'. 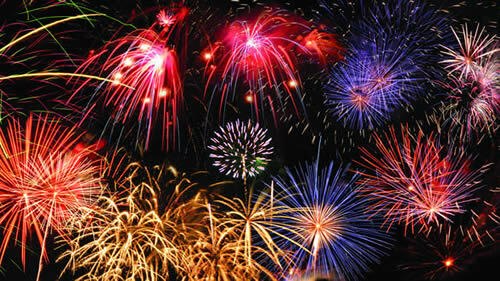 As always, the parades will begin promptly at noon all three days. 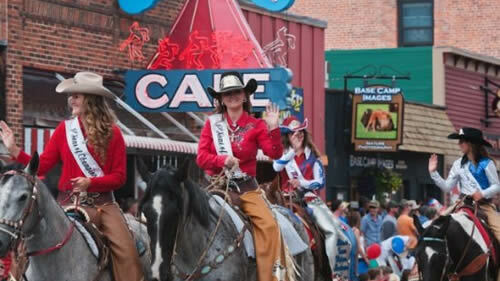 Add to Calendar 7/2/2019 7/4/2019 America/Denver Red Lodge 4th of July Parade As always, the parades will begin promptly at noon all three days. 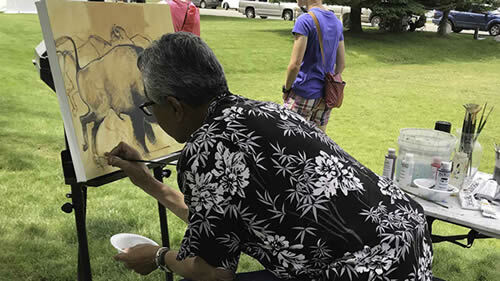 Add to Calendar 7/13/2019 7/13/2019 America/Denver 46th Annual Art in the Beartooths Join us for our 46th Annual Art in the Beartooths on Saturday, July 13th, 2019 from 9:00 am to 9:00 pm right here at the Carbon County Depot Gallery. This is our annual fundraiser and proceeds go to continue providing you, our community, and our many visitors the very best in arts programing throughout the year. Join us for our 46th Annual Art in the Beartooths on Saturday, July 13th, 2019 from 9:00 am to 9:00 pm right here at the Carbon County Depot Gallery. 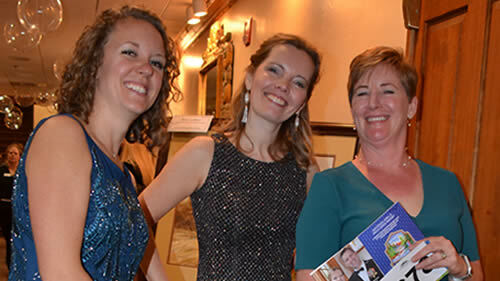 This is our annual fundraiser and proceeds go to continue providing you, our community, and our many visitors the very best in arts programing throughout the year. On the day of Art in the Beartooths starts at 9:00am with 30 artists painting live on the deck of the Depot Gallery and in Lion's Park. Stop by and watch them create! Chat with the artists about their work and maybe find a new favorite artist. The artists paint until 2:00 pm. This first part of the day is FREE and open to everyone. Ticketed part of the event open at 4:00 pm in Lion's Park.Tickets are $60 a person and sale fast. For tickets call the Carbon County Arts Guild & Depot Gallery. 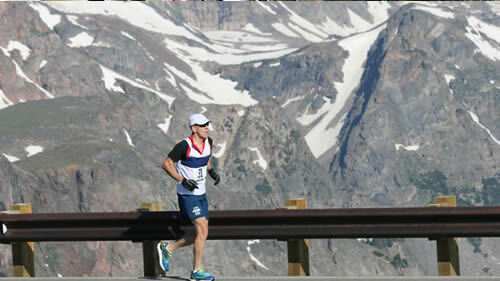 Add to Calendar 7/13/2019 7/13/2019 America/Denver 51st Annual Beartooth Run The Beartooth Run is Montana's classic hill climb road race, and this year, it has a 10K course at 10,000-ft elevation on the top of the scenic Beartooth Pass. The new "10 at 10" course (see map) showcases awesome views from the top of Line Creek Plateau, including the prominent Bear's Tooth, which the area was named after. Along with its amazing vistas, this course is all above 10,000 feet, making it one of the highest road races in the United States. Runners can choose between a 5K and 10K distance. Add to Calendar 7/19/2019 7/21/2019 America/Denver 25th Annual Beartooth Rally Plan on the 25th Annual Beartooth Motorcycle Rally being better than ever! As always this weekend promised lots of rides, food and fun and in the evening you can dance under the stars!! 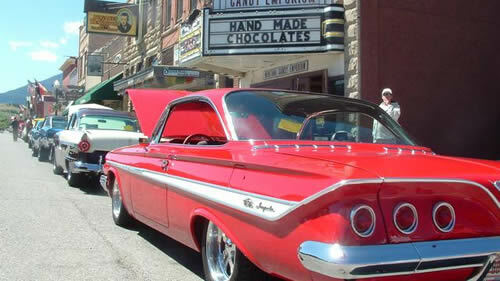 Red Lodge's premiere summer car show! Ogle over your favorite classic cars as you share your favorite "auto" biography stories! Add to Calendar 7/26/2019 7/28/2019 America/Denver Cruisen Red Lodge Car and Bike Show Red Lodge's premiere summer car show! Ogle over your favorite classic cars as you share your favorite "auto" biography stories! 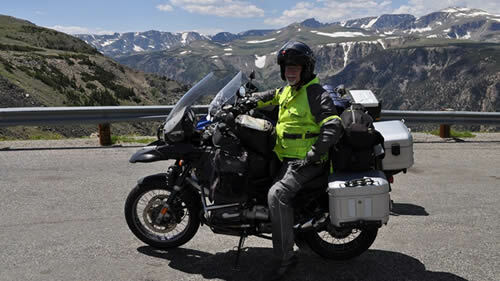 The Beartooth Beemers Welcome All Motorcyclists. Join us in riding the last best place. 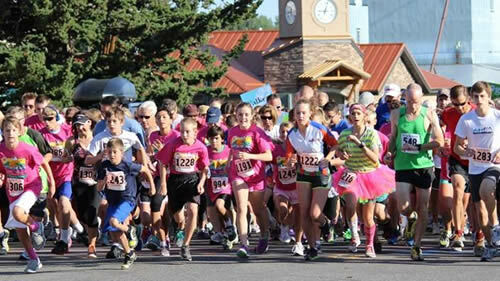 Add to Calendar 8/31/2019 8/31/2019 America/Denver 16th Annual Red Lodge Fun Run for Charities 10K Run, 5K Run/Walk, 2-Mile Fun Walk, Toddler Trot, Free BBQ. 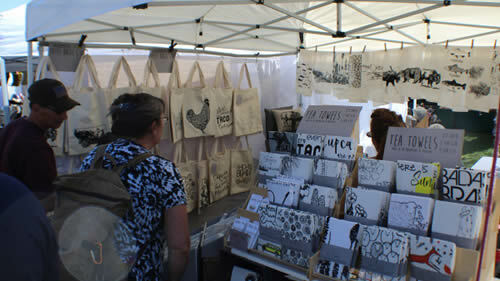 40th Annual Labor Day Arts Fair Join us for our 40th year! Enjoy the art and fine crafts from 90+ artists for one day only, Monday, Sept 3rd, in Lions Park, Red Lodge. Stroll the park and stop in the artists' booths. Shop for original creations for yourself or for everyone on your holiday gift list. Food vendors surround the gazebo and offer lots of choices. Entertainment from local groups at the gazebo all day. 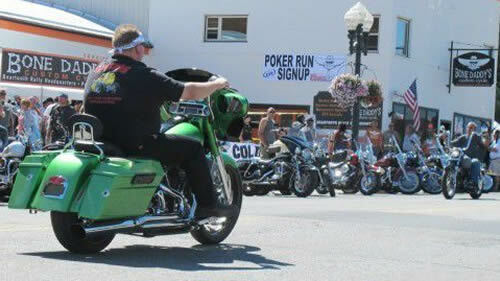 This is the last big event in Red Lodge before the Fall and Winter seasons, rain or shine! Bring your family and friends! Free Admission. Oktoberfest is a family friendly day with lots of kids games. 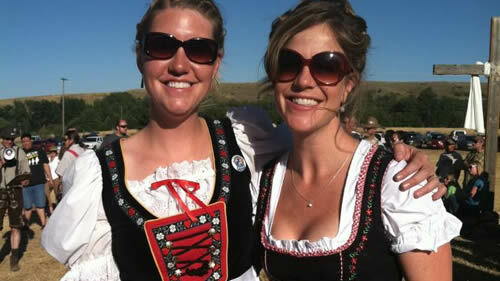 Enjoy the ever-popular Oktoberfest Olympics, freshly brewed German Beers, German food and live music. Add to Calendar 9/7/2019 9/7/2019 America/Denver Oktoberfest Oktoberfest is a family friendly day with lots of kids games. 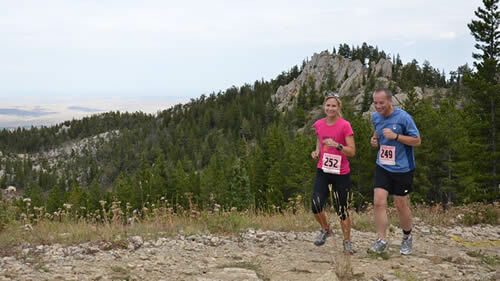 Add to Calendar 9/8/2019 9/8/2019 America/Denver The Nitty Gritty Off Road Race This off-road race will be held at Red Lodge Mountain Resort. In its sixth year running, the Nitty Gritty is starting to earn quite the reputation. And that is, that its, one nitty, gritty marathon with 14.7 miles of climbing (3,400-feet of elevation gain) all on dirt roads and single track trails. This off-road race will be held at Red Lodge Mountain Resort. In its sixth year running, the Nitty Gritty is starting to earn quite the reputation. And that is, that its, one nitty, gritty marathon with 14.7 miles of climbing (3,400-feet of elevation gain) all on dirt roads and single track trails. With a September date, your summer of running and racing will be what prepares you for this "battle royal" event. Though all distances are based on a full marathon, you don't have to do it alone! Form a six, or three runner relay team to tackle the event, or if you have the grit, solo away for a full 26.2 miles! The Nitty Gritty is a tough race with a the flair of a festival. After your run, you can relax at your team's camp in the resort's base lodge courtyard while you enjoy music and food, get to know other runners and plan out next year's race schedule. 5:00 Fallen but not Forgotten Blue Light Ceremony. An invitation to a short service to remember all Fallen MT Law Enforcement at the Elks Lodge 114 N. Broadway. 6:00 The 13th Annual Blade Parade will Kick off the Stroll at with Santa leading the way. Both begin at the Carnegie Library and continue down Broadway. Time TBD Absaroka Mountain Thunder - Cloggers performng near Flash's. 6:00pm Start your evening with the Christmas Costume Parade as it travel down Broadway. 6:00 to 7:30 Red Lodge Dancers performing at the Dance Studio. 6:30 to 8:30pm. "Santa Claus is coming to Red Lodge". He will be at the Elks Lodge located at 114 N Broadway. The elves have been very busy decorating and getting ready for his arrival, so please stop by and see the Christmas wonderland. 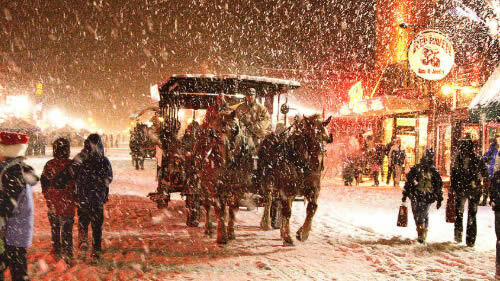 6:30 to 9pm The Beartooth Wagon & Sleigh Rides will be offering free rides. Our downtown shops are open and welcoming you to enjoy your evening stroll.